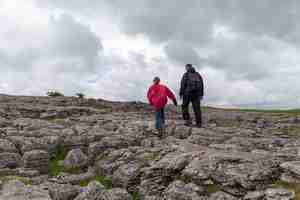 The weather this weekend was ideal for exploring limestone pavements of Great Asby Scar: dry but windy and overcast. It took us 2 hours to get to the western part of Yorkshire Dales, pretty much as long as takes to get to the Lake District. The blue line shows our track. The "P" icon shows parking space. 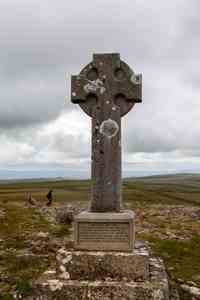 A monument for Queen Victoria's jubilee. Linmestone pavements. 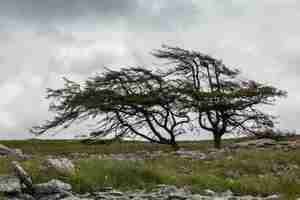 Some are flat and smooth, some are very rough, some are full of cracks and fissures. A thistle field. 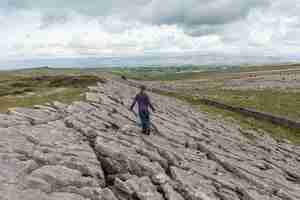 The uneven surface is due to the limestone pavement underneath. 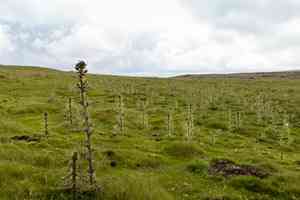 Two larch trees. 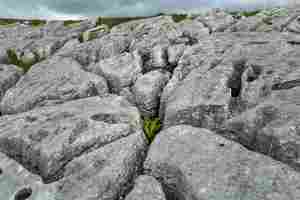 There are very few trees here, they only grow in the cracks on the limestone paveemnt. 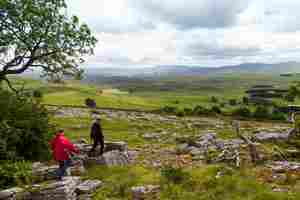 Limestone pavements are usually flat but here they form walls of a valley. 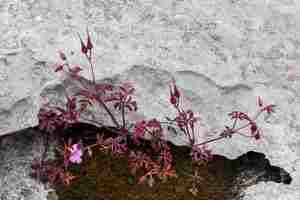 Geranium robertianum. 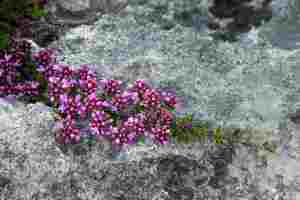 The only plants that grow here are those which like limestone. Even bracken here is different. 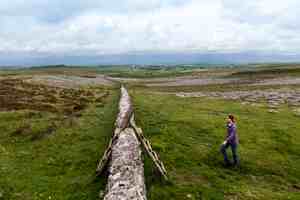 A wall of a limestone valley. Bracken is trying grow out of a deep fissure. 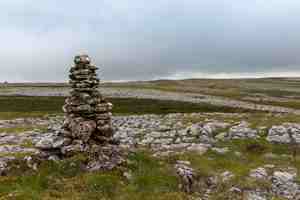 Rolling hills of Yorkshire Dales. 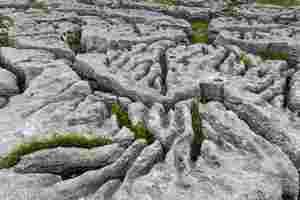 Limestone pavement gives way to farm fields. It was cloudy, a bit windy and fairly cold but we really enjoyed the visit. We only saw a couple of people, this place is not frequented by visitors. Unfortunately, Maria almost lost the sole of her boot at the furthest point of our trip; we successfully tied it back to the boot with shoe laces but then went straight back to the car. The limestone pavements here cover a vast expance, somewhat similar to Malham Cove in Yorkshire Dales but this place is absolutely stunning and definitely with fewer people.